Every year during the holidays we adopt a needy child through my work and we buy her/him the things s/he wants most. Of course, this year I selected Jonah, age 5, who wanted Justin Beiber’s holiday album, Under the Mistletoe. C.J. loves that he shares a love of the Beibs with Jonah. He wanted to meet him and listen to the c.d. together. Maybe next year. FYI, C.J. is still working on his Christmas list. It’s two full pages long. Single spaced. His brother’s list is half a page long. C.J. is holding out hope that he will get everything on his list. This should be interesting. 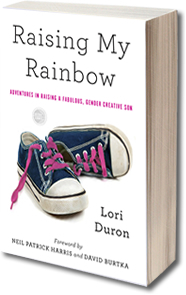 I have a question for you: What books do you read and enjoy that are about growing up LGBTQ and/or parenting a gay child? I just might want to expand my library (and learn from other people’s mistakes). Let me know if you have any suggestions. My Princess Boy is a beautiful book! I read it when we put it in the collection at my library and I started crying… ❤ Carry on lovely lady, you and your family are such an inspiration! I just discovered your blog and have read several posts in one go! LOVE it. My favorite book is “What Makes a Rainbow”, which someone gave my brother when he was in the hospital once. I’m touched by what I’ve read about C.J. so far; please continue writing about your lives. I heart your blog. Am keeping my eyes on your every single special stories. I know I’m late to this party, but I always thought the Ranma 1/2 series (comics and tv) was fun for it’s intentional/unintentional gender fluidity. It’s not specifically geared towards the queer folks but that’s what I liked about it. Ranma’s ability to switch genders with cold/hot water is sort of treated like a superhero power, which was fun, as a young trans person, to imagine about. I wasn’t going to post anything but after hearing your son sing I broke down and just had to leave one! He is adorable and I am happy that you are letting him grow up to be who he wants to be. I love your blog and it makes me very happy to read. I can’t wait to read more of your experiences! Great post! I’ll forgive the Bieber pic; he’s a fellow Canadian, but I can’t stand the little punk! I don’t have any children, but having been a school teacher 4-6 grade for a short time in my life, and really loving a child for it’s innocence and awe at the world, and from what i have read in your blogs, you are doing an amazing job and I would not change a thing. How to raise a gay child, just simply love him or her let them be good human beings and make sure they love themselves no matter what. The love and assurance of a parent can overcome any obstacles in his life. CJ’s song made me burst out laughing and burst into tears at the same time. May God bless you richly and deeply this holiday, and all throughout the coming year. You are changing the world with your courage. My kids fave book is “Uncle Bobby’s Wedding” http://www.amazon.com/Uncle-Bobbys-Wedding-Sarah-Brannen/dp/0399247122 It is an amazingly thoughtful book about Uncle Bobby and his partner getting married- and how Uncle Bobby’s Niece is worried she wont be important any more. Wonderful illustrations as well. As he gets older there are many literary resources out there- esp for teens. “My Gender Workbook: How to Become a Real Man, a Real Woman, the Real You, or Something Else Entirely” by Kate Bornstein. Also, when he’s a little older and if he needs it, “Hello Cruel World” by the same author. That mp3 is adorable – and great blackmail material for when he is older. i was just going to post the same link! a very insightful article!! Thank you for sharing this link; great article. Great teaching of acceptance! He’s way too young for it, but there are YA books and you might find them fun and interesting–Mercedes Lackey’s trilogy about Vanyel Ashkevron–young, gay, main character in a fantasy series–the first book especially has insightful scenes about his alienation, realization, and eventual coming out. Beautiful, difficult, challenging story. I think you doing a great job with CJ–I wish every child had such a loving support system! Please share the list when C.J. has finally finished it, lol. As for LGBTQ books, I would suggest most books by Francesca Lia Block. Her books combine gritty realism with fairy-tale elements; the ultimate messages are self-acceptance and finding love and family in your own way and in your own time. Baby Be-Bop, Weetzie Bat, Witch Baby, Cherokee Bat and the Goat Guys, and Missing Angel Juan make up a series with over-lapping characters and each book has an element of LGBTQ themes, from side characters to main ones, each one colorful. They are “young adult”, but I do think hat even by the time he’s old enough to read them C.J. will still enjoy them. I suggest reading them. I love to finally have a voice to go with the stories! I’m jealous, I admit it. Your boys are just at perfect ages for the holidays. Christmas is so full of magic and excitement and love, especially when dhildren are young. I’m glad that you write your experiences so beutifully, and that you take a lot of pictures and now an audio recording too! The memories you are creating this year and in the next few will be the ones C.J. and his brother will treasure for the rest of their lives. I hope that your family has the most wonderful Christmas ever. I can’t think of a book offhand but have you ever seen the film Ma Vie En Rose? You’ve probably seen it but I wanted to point it out in case you haven’t. I’ve enjoyed it several times. That recording just made my day, so cute!!!! C.J. is most definitely a superstar! Book I wished I had: The Paper Bag Princess. 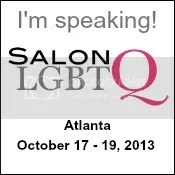 Feminist not necessarily LGBTQ. But maybe CJ would like it. Also, I love CJ’s recording. 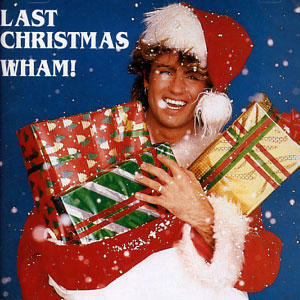 Holy George Michael, I want to download that on iTunes! Can’t wait to see what’s on the Christmas List. God have mercy on your soul, Mom!! I don’t usually like holiday songs, but I loved CJ’s version of Last Christmas. CJ needs to put out a holiday album! That is the cutest thing I’ve ever heard. George Michael step aside! Adorable! I hope Jonah has a happy Christmas, and I hope CJ never stops singing… you can hear the joy in his voice. I have a pretty large collection of LGBT literature on my bookshelf. Two books that I think would be god to have are Free Your Mind and Real Boys. They have always had a place on my bookshelf. Absolutely fabulous! Such gusto and bravado … Merry Christmas to you and all of yours! That is…….actually too delightful and cute for words. The perfect way to start a Friday morning off. Be forewarned – that boy is destined for great things! Amazing! Totally made my morning to hear that while drinking my coffee! You & CJ are pretty amazing! If you don’t mind, say more about what kind of books you’re seeking. This is one of the early books I read when I was coming out the second time. It’s fiction but cool. I recently gave a copy to a 10yo boy who may be gay…and was a little embarrassed when his Mum told me, it was a little too adult. And I was like “Really? How so?” and she reminded me of some of the more “teen-level” material. And, I was like like… See Betty (made up name), I have so much to learn from real parents LOL. To be clear, I gave it to him WITH HER PERMISSION… And she check it out first (and was glad she did LOL) Obviously, since she’s my friend, she’s very GAY friendly. Hands down, that is the best cover of “Last Christmas” ever! ADORABLE! !